In his reorganization of the combat command in Tunisia, Eisenhower made Field Marshal Harold Alexander the Army Group commander. Alexander scheduled an offensive for March 17. The primary thrust would be made by Gen. Bernard Montgomery’s British Eighth Army in the east, with II Corps conducting a diversion in the west. Patton arrived at II Corps headquarters on March 6, at 10:00 a.m., finding Fredendall still at breakfast. With just ten days to turn things around before the offensive, Patton wasted no time. On March 7, his first day of command, the newly promoted lieutenant general ordered the mess closed at 7:30 a.m. That was just the start. A round of inspections commenced. Finding discipline lax, even non-existent (“No salutes. Any sort of clothes and general hell.”), he imposed a sweeping range of shock tactics designed to transform a dispirited mob of citizen soldiers into a fighting force. Rigorous training regimens were imposed. Some orders – such as the wearing of neckties by officers and strapped helmets even while using the latrine – seemed trivial and nonsensical, but the $25 fines (half a month’s wages for a private) were not. 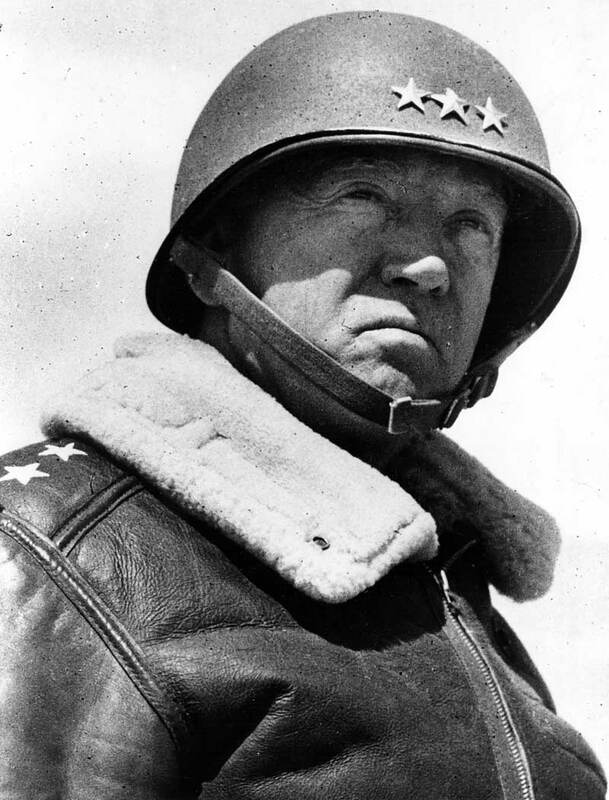 Bradley, now Patton’s deputy corps commander, noted, “Each time a soldier knotted his necktie, threaded his leggings, and buckled on his heavy steel helmet, he was forcibly reminded . . . that the pre-Kasserine days had ended, and that a tough new era had begun. . . .” Predictably, the troops became mad as hell. Alexander only wanted II Corps to regain ground lost at Kasserine. But Patton saw the campaign as a reenactment of Second Bull Run, with II Corps playing the role of Stonewall Jackson’s corps to Montgomery’s Eighth Army in the role of Longstreet’s corps. 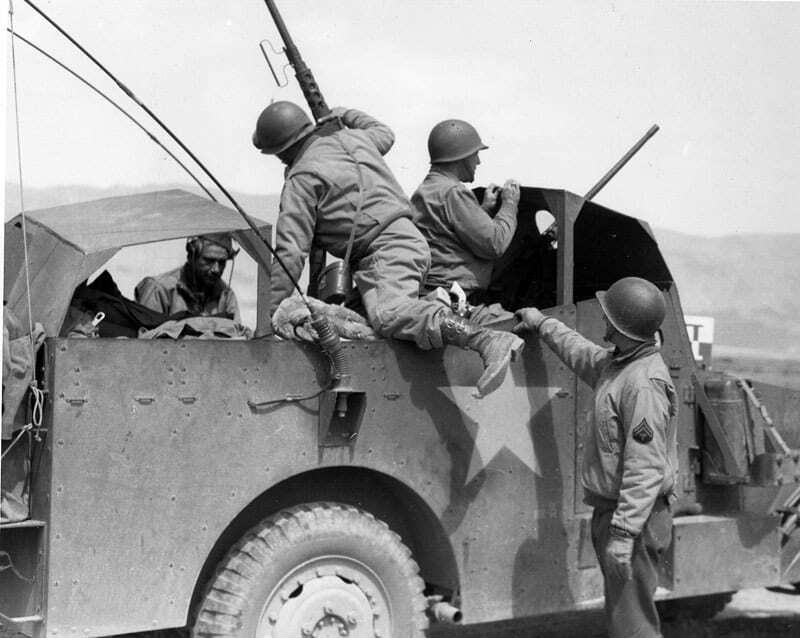 By mid-April, Eisenhower felt confident enough about II Corps’ turnaround to return Patton to Morocco and resume preparation for Husky. Bradley succeeded Patton as II Corps commander and participated in the final victory in Tunisia. YouTube features a video of Patton’s command of II Corps, part of a five-part sequence. Patton 360 Episode 2: Rommel’s Last Stand, which shows the transition of command, can be viewed at http://www.youtube.com/watch?v=bUpmSDnG_Sc. Patton 360 Episode 3: Rommel’s Last Stand, which shows the Battle of El Guettar, can be viewed at http://www.youtube.com/watch?v=Rdl8jKPMjLk.